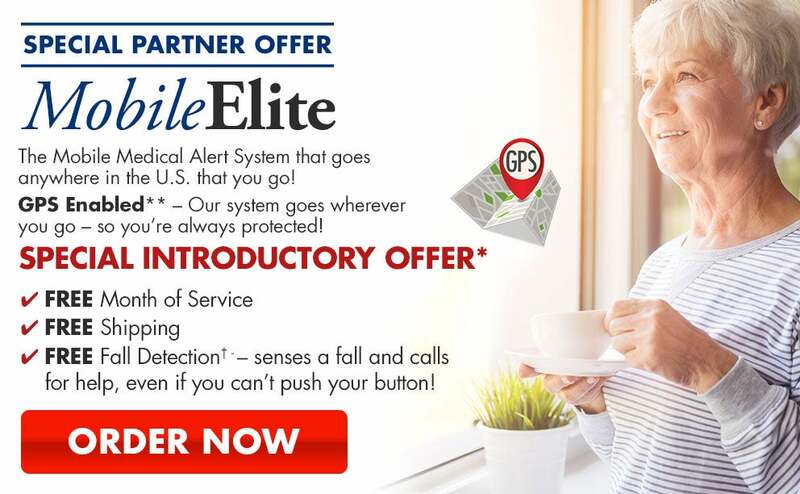 The mobile Medical Alert System that goes ANYWHERE in the U.S. that you go! GPS Enabled** – Our system goes wherever you go – so you’re always protected! FREE Fall Detection† – senses a fall and calls for help, even if you can’t push your button! No matter where you live, a U.S-based operator can remain on the phone with you until help arrives. Plug in the base unit to a phone jack and power outlet. Then simply push the button to call for help. Basic monitoring equipment at no cost, no hidden fees, no activation charges and no long-term contracts required. Button signal range may vary due to environmental factors. “Smart” fall does not detect 100% of all falls. Users should always push their button when they need help.